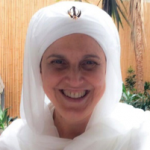 Kundalini Yoga instructor certified by KRI since 2010. Pre and postnatal yoga specialist. KRI (Kundalini Research Institute) member. Educator.